This special podcast is brought to you by Motus Holdings. It’s a pleasure to welcome Osman Arbee, the CEO of Motus Holdings and with him, Ockert Janse van Rensburg, who is the current acting CEO of Motus Holdings, but also the CFO of the company. 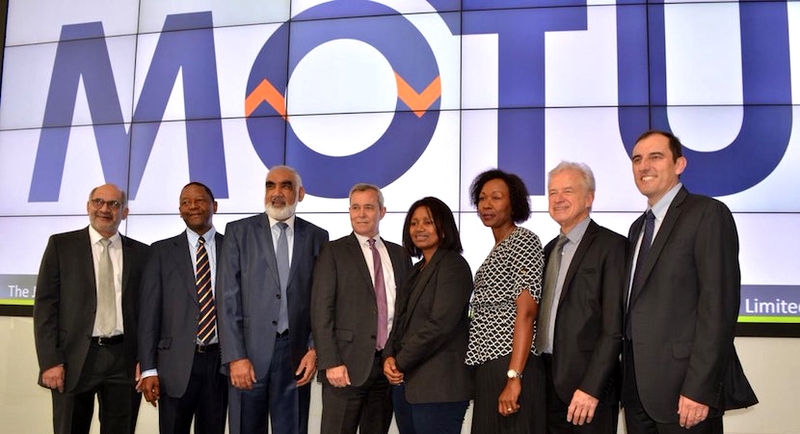 Now, Motus Holdings has just unbundled from Imperial Holdings and listed on the Johannesburg Stock Exchange today. Osman, how has the new listing gone this morning so far? So far so good. We’re quite happy with where we started. We see the trading ranging anywhere between R80 and R100. There’s someone wanting R199, but that’s a very small volume — I think that’s someone who’s taking a chance. But we’re quite satisfied where we started. What is the back-story to the genesis of Motus Holdings and what motivated Imperial to unbundle this business unit? It’s quite exciting that we’ve started with listing Motus Holdings. If we look at the journey, we always started our journey with Imperial, but if you think about Percy Abelkop starting a filling station in 1946, growing the business in 1964. The name was changed to Imperial Motors and then in 1987, we listed the business as Imperial Holdings. The listing provided a very good platform to grow the business in logistics, aviation, car rentals, transport — and the business grew to a business worth R36bn in its good times. Four years ago, Mark Lamberti and the senior management team in the various businesses realised that we fundamentally have two businesses — a logistics business and a motor business. Then we started unbundling, selling non-strategic businesses, selling non-strategic properties. We realised about R7bn in the process and, in that, we bought businesses, but that was specifically motor and logistics. Come 30 June 2018, the two businesses were well set up from a balance sheet perspective, from a debt to equity perspective, from a people perspective and that’s when the button was pressed that, yes, now these two businesses can stand on their own. The only glue that was holding them together was the balance sheet and the debt to equity, but because we fixed the balance sheet up, these two businesses could start going on their own. We realised that we grew two businesses that were small when they were being built, but all of a sudden, we had two big businesses that now had to create their own growth for their people, their customers, and their shareholders and that’s how we’ve arrived today where the motor division was listed on the stock exchange. 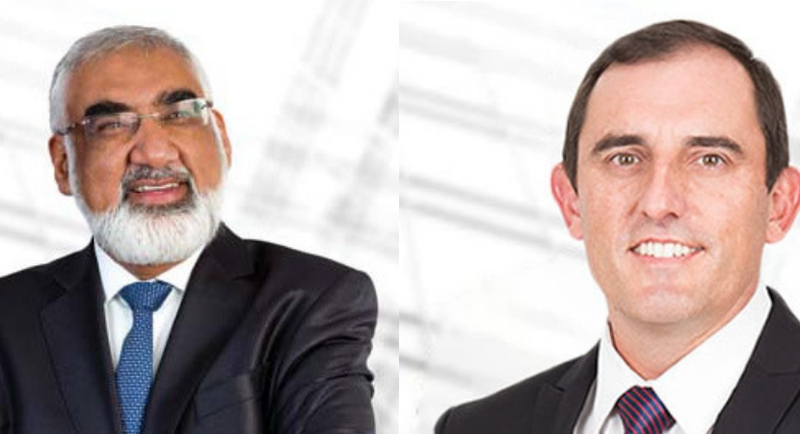 Motus Holdings CEO Osman Arbee and CFO Ockert Janse van Rensburg. Ockert, maybe this is a question for you. What is Motus Holdings going to focus on primarily going forward? I know that it’s going to operate in the automotive space, but how will it differ from other major players in the market out there? Yes, this is actually quite an exciting opportunity for us to really promote exactly what our whole business is all about. We’re much more than just a normal motor dealership as the perception that has been created in the past maybe and it’s more of an integrated business where we can give a complete value proposition for our investors and also for our clients around the importation of vehicles, the retail and rental of vehicles, but also financial services and aftermarket parts. As a combined unit, we’re certainly unique in our value proposition for a potential investor where we can provide a one-stop investment opportunity in that regard. Motus is also operating internationally, in the UK and Australia. Can you tell us more about those ops in those particular countries? As you might’ve read up, we’re approximately 87% South African, so we’ve really only recently started with venturing into international markets and it’s a selective process where we’ve done some acquisitions over the last few years. Our dealership footprint within both of those geographies is quite small at this stage and the opportunity still presents itself to make some selective acquisitions in the near term. But as I stated, to be a meaningful player there as opposed to a South African player would probably not be possible in the near-term and we believe that an overall goal of approximately 20% to 25% is probably the maximum that we would be looking at within the near term. Just to add on to what Ockert is saying is that in the UK we were very strong in commercials, so when a commercial customer, a trucking customer wanted a car, we couldn’t supply a car. That was one of the reasons why we looked for that opportunity to sell passenger vehicles and in the UK they’re big in company cars. So the guy who runs the warehouse, the drivers, we were missing that opportunity. That’s how we got into the car market in those areas. Again, it’s not again changing acquisition, it’s a bolt-on acquisition to look after customers better in the UK. That means that you can give them a truck, but you can give them a car or a panel van, so just completing that cycle. Now in completing the cycle, we have Ford, Nissan, and Renault etc., but we need to complete that cycle, we don’t have all the brands. So that’s what Ockert’s acquisition talk was talking about, it’s selective acquisition, not game-changing acquisitions. Then if you look at Australia, the area to grow in, again, that market is growing, the population’s growing, and the GDP is growing. Again, we don’t have all the brands there and we would like to grow more in Sydney where we have Ford, Kia, and Hyundai. We just need to complete the brand. We’re outside Melbourne; again, we need to complete more of the brands. So the movement offshore is not a wholesale move, a game-changing move, it’s more bolt-on acquisitions and the two jurisdictions we’ve chosen are Australia and the UK, both English-speaking nations. We have businesses there and we can trade economies of scale. Osmond, just for you, this has been quite a journey to get to this point. What does this day mean for you in terms of yourself personally and for Imperial as well? I think it’s a very important milestone in the sense that if you go back when I started. The idea was always to grow the business grow the people and grow market value. Those were the three fundamentals we always had. Four years ago, we were battling with saying, “Where will the future growth come?” If we stay here as one family, we’re always making choices between logistics and motor and that was the dilemma. It was a dilemma for the board and for EXCO. Where did they put their money because it’s sitting in the motor unit, which I am now, but at that time I was sitting at head office. That’s when we said, “For these businesses to grow like when we started, we have to give them their own focus, their own strategy, and it’ll make it easier for the shareholders then to decide whether they want to buy some vehicles or a motor share or whether they want a logistic share. So the children grew up, the business grew and we came to a decision where we had to create an unbundling as we did with Equestria some time ago. Therefore, for me personally, it’s quite momentous that we got here because four years was a good time to fix up the business, the people, and balance sheet and we got there within the specified time. I think it’s a very good move for the management team and for the shareholders and the customers because the customers now know whom they’re dealing with in a focused way. The shareholder understands what he’s buying; he’s buying a motor business that is 87% South African with offshore sites and the people reading our financials can then spend more time understanding one industry than understanding four industries. Why four? The logistics in South Africa, the rest of Africa and international and we were predominantly a South African business. So I think we’ve really simplified our structure, shareholders, easy to understands, customers can focus on us, and I think it makes it easy for our people to grow with us as motor people. Ockert, as has been mentioned in this interview already, your business is 87% in South Africa. What is your take on the South African economy right now and where it’s headed? Are you bullish on the South African economy, could we see an upswing in years to come, do you think from your business’s perspective and from your sector’s perspective? We’re certainly very well-positioned for an upswing in the South African economy and we’re very hopeful that the recent decisions that have been taken from the government have all been seen as a positive light for our investors as well. So hopefully within the near future, we can see an uptake there. It’s also important to note that despite the fact that we’re very much dependent on a South African economy, we do however sell most of our products and services into the higher earning markets which was slightly more defensive from that perspective. However, overall, we would obviously be looking at some uptake in the South African economy and yes; I do believe that we are bullish, that in the near term things would look a lot better. Gareth, I think the important thing is that we have to understand the value chain. That value chain is unique to Motus. There’s no other big group that imports vehicles. We import 80 000 vehicles into this country, we sell one in five new cars in this country, a similar amount, which is 80 000, 90 000 used cars a year. We can service them, provide parts to that and we provide parts outside the warranty and the service period. We have financial services and a car rental business. If you think about it, we have the complete cycle that means from the beginning when the car comes on that ship right to the time where we can put it to an auction or even repair it when it’s damaged or rent it or provide anything we need. The cycle’s helping us and any slight uptick in the South African Economy will help us. The reason for that is that the ranges we import and sell, there are many entry-level vehicles, and as you would know, that South Africa’s transport system is probably not, where it should be. People are still dependent on their cars to earn a living, so we’re going to be at about 65 000 this year and with slight growth – and these are in difficult times. In 2017 we did a similar amount, 2018 we’re going to do a similar amount, a straight uptick in GDP or the consumer feeling better, we can get to 600 000. Now you sell more cars out of the same infrastructure so you can only make more money because you’re not going to put up new buildings, you’re not going to employ more people, but you have the same infrastructure in which to sweat that asset, so that’s where we’re seeing the upside of our business. Finally, just as the last question, Ockert. I see that you’re the acting Chief Executive Officer and you come with a very highly regarded background. What is the future plan from the company’s side regarding this top post? For the immediate future, Osman Arbee who’s been off due to medical reasons would be back in January and he’ll be back in the reigns as the Chief Executive Officer. I’ll still be playing a meaningful role next to him as the Chief Financial Officer and involved in certain strategic decisions around innovation and around expansions. Thanks a lot, Gareth. The only point that I want to add is the CFOs that we saw ten years ago are not the CFOs of today. Today the CFOs are very much part of being the right-hand person for the CEO. Why? A. Financial, B. They think strategically and they warn you of things that are going to happen in your business, so it gives you an opportunity as CEO for me to focus on the outside when I know internally I have someone that’s focused, not only on the numbers, but focused on their strategy, knowing where they’re going and very good at people skills, so the CFOs of today are very different and play a very different role to what they did ten years ago. They’ve become very close to the CEOs and they’re an integral part of growing businesses. Great, Ockert and Osman, thank you so much for talking to me today about this new exciting listing. This special podcast is brought to you by Motus Holdings.